Prestige Alcott Satin Nickel Dummy Door Knob Baldwin Hardware has a rich heritage of delivering modern luxury to discriminating homeowners. Baldwin Prestige Series offers effortless, accessible style and luxury. With the Baldwin Prestige Series, any homeowner can instantly create an atmosphere of confidence from the moment someone knocks on the door. Baldwin Prestige Series is affordable luxury. The Baldwin Prestige Alcott Knob features a classic-round traditional inspired design which is offered in keyed-entry, passage, privacy, and half dummy functions. Prestige Alcott Satin Nickel Dummy Door Knob is rated 4.7 out of 5 by 7. Rated 5 out of 5 by Bobby from The Baldwin knobs I bought are the best! They are very weighty and solid. The brass is very shiny... The Baldwin knobs I bought are the best! They are very weighty and solid. The brass is very shiny. The screws are long so they attach very securely to the door. My old knobs lasted 50 years but have loosened too much after all this time. These Baldwin knobs are the best choice if you are looking to replace or install new dummy knobs. These will probably last forever! 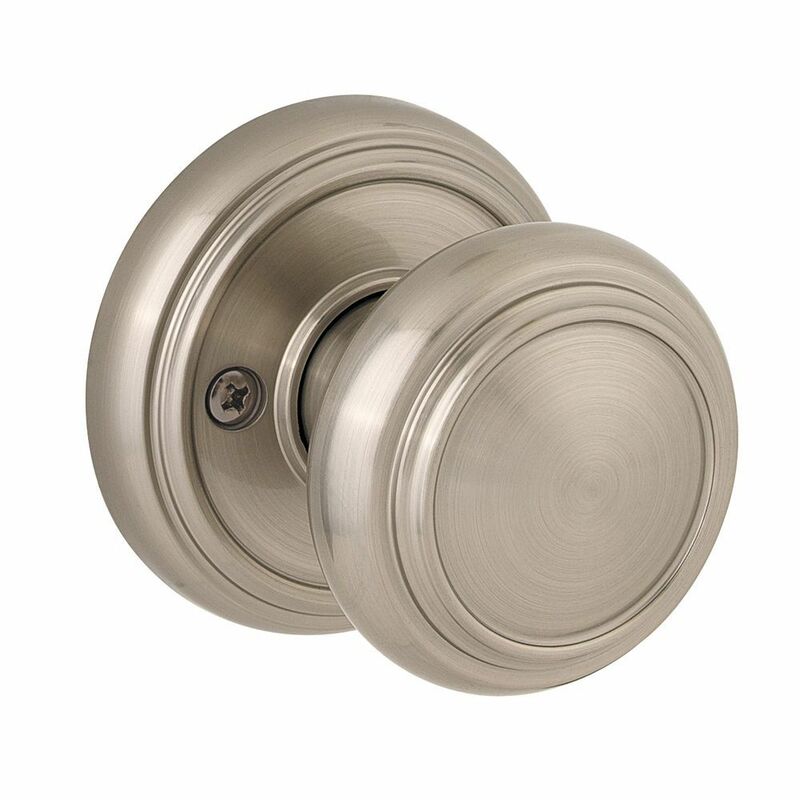 Rated 5 out of 5 by CW2015 from Excellent, Sturdy Door Knobs These knobs are very solid and have some weight to them which make for a nice feel when opening/closing doors. Easy to install and have a very nice finish and look. Worth the extra cost for something that looks and feels high quality. Rated 4 out of 5 by malsped from The Alcott range in general has a solid, stylish appearance A solid, stylish door knob that imparts a quality appearance to the home. It is somewhat larger than the more popular (and cheaper) Schlage and Kwikset lnobs and thus best suited to larger doors.